The nearest well connected Airport is Chandigarh which is well connected from all metros. The nearest Station is Anandpur Sahib (about 14 kms or 20 min drive). 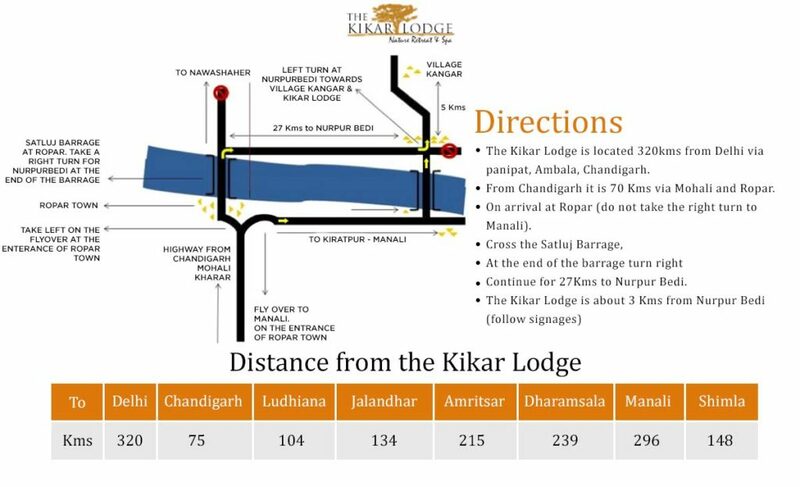 The Kikar Lodge is about 70 Kms from the Chandigarh Station (1hr 30 min drive). A pickup can be arranged from Chandigarh/ Anandpur Sahib on extra charges.